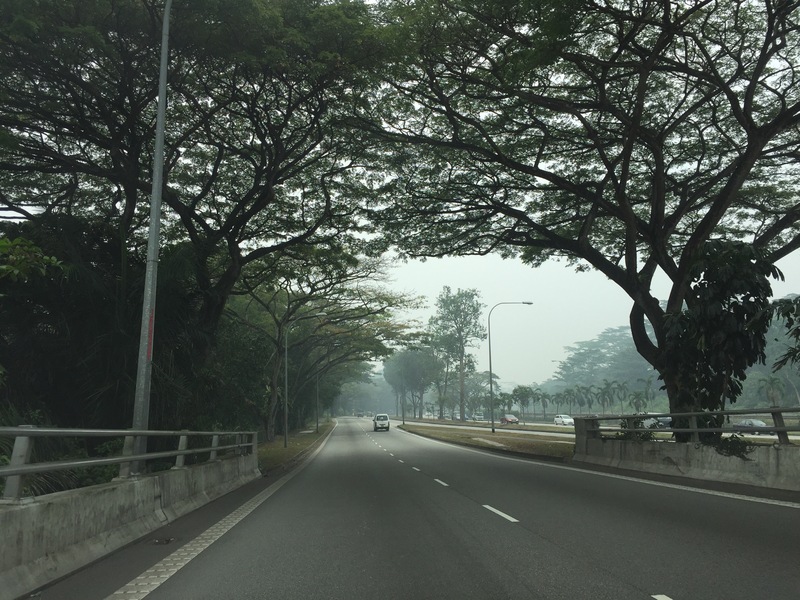 This haze seems never ending and highly frustrating (infuriating even if you think about how it’s affecting the health of the very young, the elderly and chronically ill). If your loved one’s health is adversely affected by the pollution (if they have heart or respiratory problems) then it’s downright criminal and not a light hearted matter in the least, if you think about it. Especially as it seems to have become a yearly occurrence and we’re told by Indonesian leaders it will take another three years to resolve. 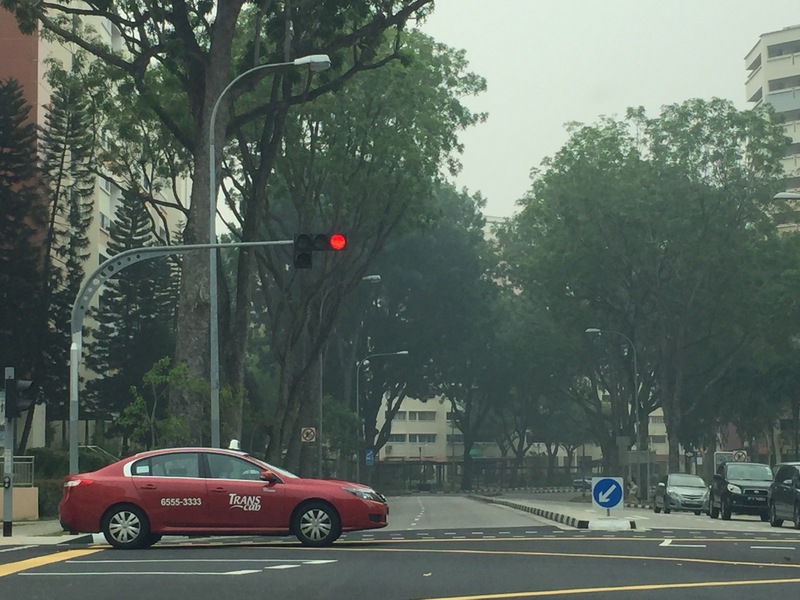 I wish tourists who come here for the first time could experience Singapore with her usually good air quality. How unfortunate, the timing of their visit. I want the island to be seen at her best as I’m sure you do as well. I’ve even noticed more birds on the ground rather than in the air, and looking sluggish. They don’t have a place to hide. I’ve been taking photos to remind myself not to take our usually clean air for granted. Added a photo from July, before the fires in Indonesia clouded our skies. The blue against grey – a stark contrast. There is a silver lining though (just so that we won’t be labelled as constant complainers). With the sun’s rays blocked out, it isn’t as hot as it used to be. 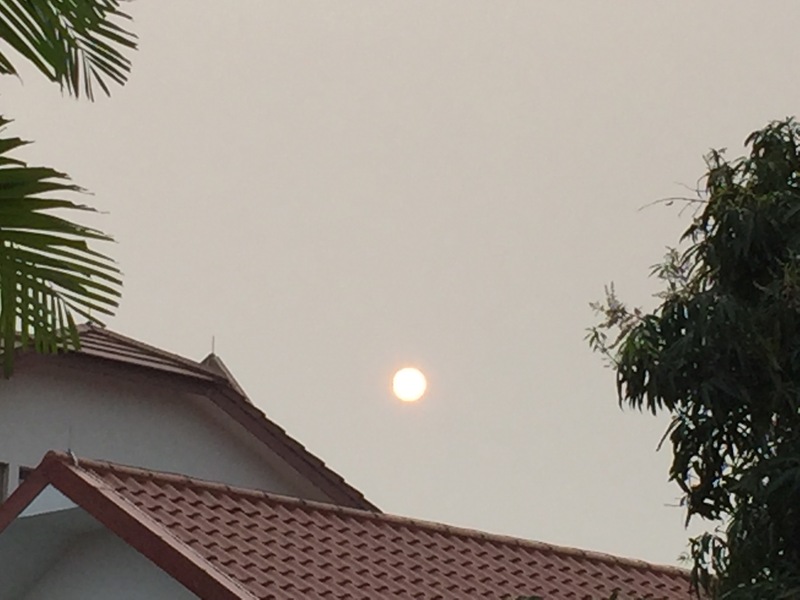 And pictures of the sun through the smog as a tiny round orange ball looks pretty cool. 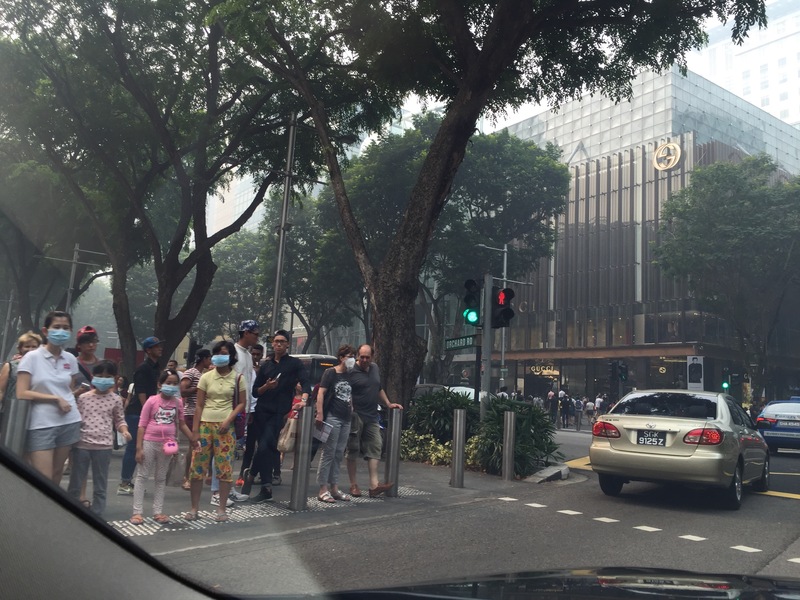 But seriously, no thanks, haze, (rooted in corruption), so detrimental to our health and confining us indoors. Please go away never to return. I’m sure ordinary people in Indonesia, Malaysia, Thailand and the Philippines wish for the same. 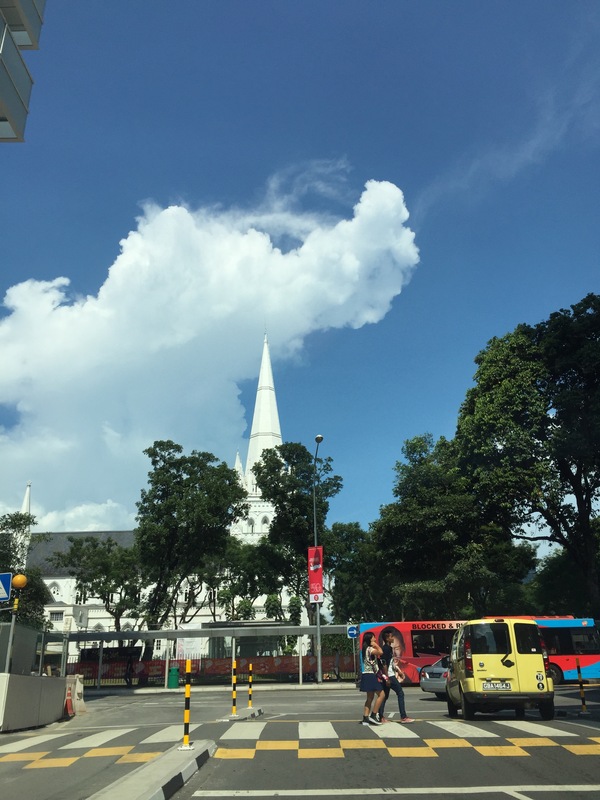 This entry was posted in Singapore Living and tagged Daily Photo, Haze, personal, Singapore, thoughts. Bookmark the permalink.